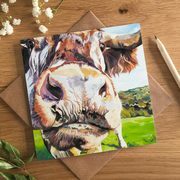 A humour card for all occasions! 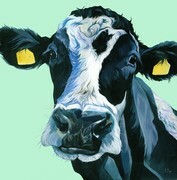 Meet 'Jody' the nosey little Jersey Cow. 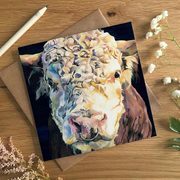 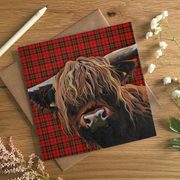 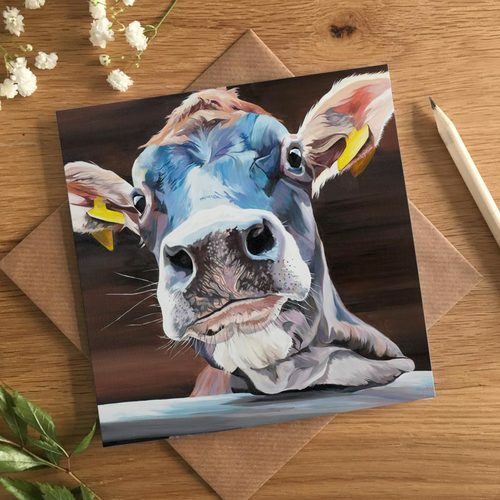 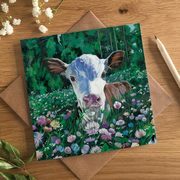 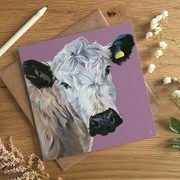 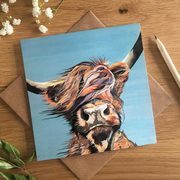 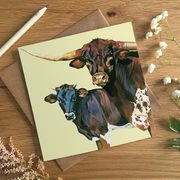 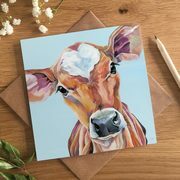 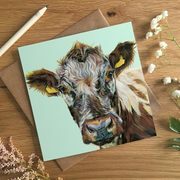 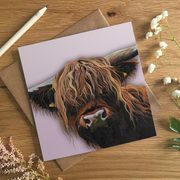 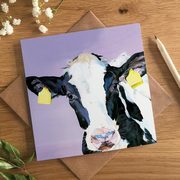 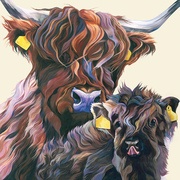 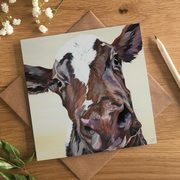 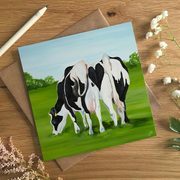 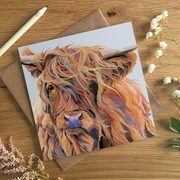 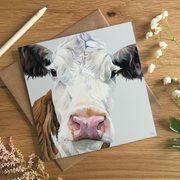 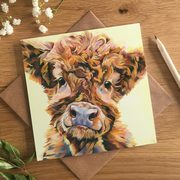 A fab card for him, this cheeky calf always brings a smile. 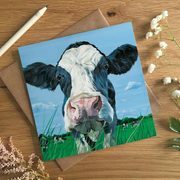 With her bright blue bandit mask this art card has as much colour as she does character.